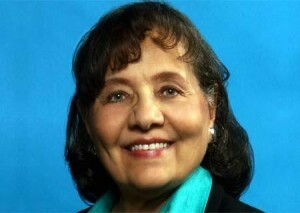 Under the theme of “Resistance: Black Activism through the Ages,” Lafayette will celebrate Black Heritage Month in February with guest speakers, film screenings, community discussions, and a keynote talk by American civil rights activist Diane Nash. Her lecture will be 7 p.m. Wednesday, Feb. 17 in the Williams Center for the Arts. Nash was a leader of the student wing of the Civil Rights Movement during the 1960s. Through the use of nonviolent principles, Nash led the Nashville Sit-ins, the first successful civil rights campaign to integrate lunch counters in a Southern city, and a turning point in the movement. She helped coordinate the 1961 Freedom Rides from Birmingham, Ala., to Jackson, Miss., which in the face of certain violence, led to desegregation of interstate buses and facilities. This story was recounted in the PBS American Experience film Freedom Riders. Nash was cofounder of the Student Nonviolent Coordinating Committee and helped initiate the Alabama Voting Rights Project and the Selma Voting Rights Movement. In 1963, President John F. Kennedy appointed Nash and other civil rights leaders to a national committee whose work contributed to the passing of the Civil Rights Act of 1964. The month’s events are coordinated by the Office of Intercultural Development and are sponsored by the Association of Black Collegians, the McDonogh Alumni Network, the office of Religious & Spiritual Life, the Department of History, and the Africana Studies and Film & Media Studies programs. For more information, contact Intercultural Development, (610) 330-5320. Feb. 7, 10 a.m.-Greater Shiloh Church, Easton, Pa.